Huge bass from these standard under seat positions is usual, beautifully balanced musical bass has always been much harder to achieve until now. Audison cast a magic spell on this trickiest of upgrade solutions with this superb under seat subwoofer. 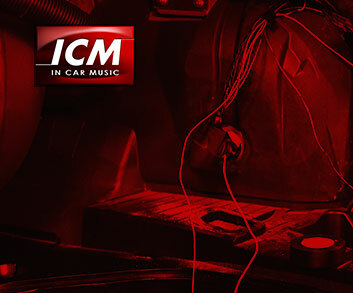 Physically designed to drop into the original BMW enclosure this plug and play fix for dreadful BMW bass is quick and easy for your installer to fit too. Subwoofers have been designed with electro-acoustic parameters that maximize performance for the factory box available below the seats. The ABS plastic basket, reinforced with fiberglass, and the acoustic structure featuring a front magnet, provide for a minimal installation depth for a perfect compatibility with the whole range. Two 5 mm polyurethane gaskets, supplied, allow the subwoofer to fit perfectly to the box, decoupling it from vibration.